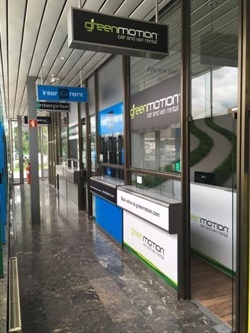 Environmentally-focused car rental company Green Motion continues its expansion in Europe by opening a franchise location at Ljubljana Airport in Slovenia. Slovenia represents the 17th country for Green Motion in Europe. This brings the brand’s country count to 30 countries — with the recent introduction of Sweden, according to the company. "I am delighted to be partnering with Green Motion and to be challenged with the objective of developing the brand throughout my beautiful country,” said Zoran Zanoski, owner of the Green Motion franchise for Slovenia. “I look forward to welcoming many customers during the forthcoming summer season."